Local Wally's Sonoma Tourist Guide picks the VERY BEST WINERIES in Sonoma, Healdsburg and Russian River. 2 for 1 discounts, Sonoma on a Budget. Picking out which wineries to visit in Sonoma, Heladsburg and the Russian River area just got a lot easier now that you found Local Wally. Unlike other "guides" that give you endless lists of wineries, I've selected the ones I would visit if I only had limited time to wine taste in Sonoma. And to make it even easier, I've grouped them into the wineries that offer discounts, Big Name wineries that rival the wineries in Napa in opulence, and the best small boutiques that a lot of people miss. Do your homework here to figure out which wineries you want to visit, knowing that everyone of these have the Local Wally stamp of approval. Still confused on which wineries to visit? Then take the easy way and do my pre-planned 2 for 1 agenda. And yes, you can always email me for free unbiased advice and I'll help make sure your trip to Sonoma is the best ever! As much fun it is to plan out a trip to Sonoma there are times when you just want someone else to do all of the thinking, all of the planning, and all of the driving. Whether you're staying in Napa and want to do a quickie trip to Sonoma or just too busy to figure this out a good option is to book a Sonoma trip with Playtypus Tours. I really like these guys, they take you to some of Sonoma's best wineries in a small tour shuttle, typically around 10 people in a group. They'll pick you up at the hotel and take you on a whirlwind tour of Sonoma, lunch included. It's my favorite tour company, tell them Local Wally sent you! (Kenwood) This unassuming tasting room has some of the best reds you'll ever taste. Big spenders will want to do a cave tasting tour but budget tasters get 2 for 1 in their tasting room. (Sonoma) It's not fancy but there is something special about tasting wines poured by the winemaker inside his rustic barn. Great wines, great experience, reservations required. There's a lot of good reasons to stop in at Cline Cellars, a good first stop when visiting Sonoma. Free California Mission Museum and free wine tastings! Yes, you can still get free wine in Sonoma! (Glen Ellen) Everyone tastes inside the caves at Deerfield Ranch Winery, a beautiful winery and a fun tasting experience. Picnic area, lovely grounds, friendly staff. (Healdsburg) 100% estate grown wines of mainly chardonnay and pinots, HKG is located in a historic buidling built in 1905 where hops were once dried. Picnic area, marketplace, 2 for 1. Open Thur - Mon, Kivelstadt Cellars pushes the envelope and breaks the rules. Wines on tap, wine growlers to go, and a special exclusive tasting offer with your Priority Wine Pass. Get a Wine Pass for Free Wine & More! A short drive up the hill rewards you with beautiful views, a free vineyard tour, and exceptional wines. Schug Carneros Estates makes great pinots and chardonnays. 2 for 1. (Santa Rosa) St. Francis Winery and Vineyards is located just north of Kenwood. Great patio, views, optional cheese platter and exceptional wine and food pairing offering Thurs-Mon. (Healdsburg) A few miles from downntown Healdsburg down a two lane road is VML Russian River, a "must see" winery for garden lovers, a pretty winery destination and 2 for 1 tastings. See the Complete List of 2 for 1 Wineries Here! The Best BIG Name Wineries from Sonoma to Geyserville - Must See Wineries! (Glen Ellen) Founder Bruce Cohn once managed 70's rock band The Doobie Bros, getting into the wine biz to counter the rock and roll lifestyle. Food available on site, lovely grounds. (Sonoma) Founded in 1857, Buena Vista Winery is one of California's oldest wineries but the updated tasting room is stunning and the grounds gorgeous. Well worth a visit. just 5 min from the Plaza. 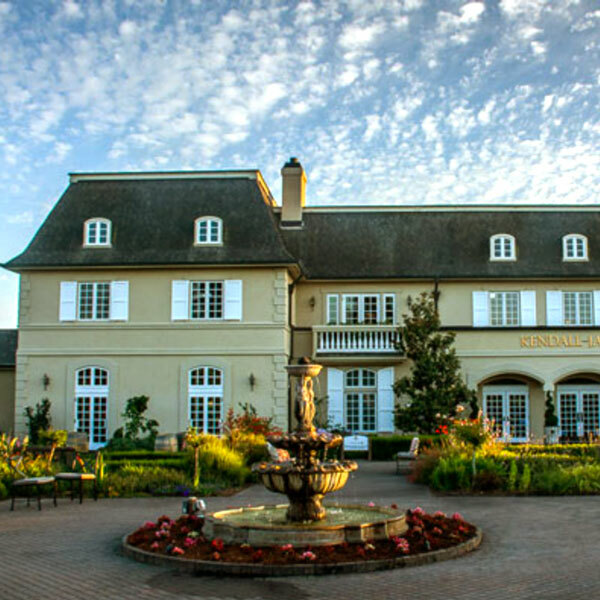 (Kenwood) Chateau St Jean is one stunning winery with manicured grounds and a picture perfect setting. Food available on weekends, bring a picnic, bocce ball, beautiful winery. (Geyserville) Hollywood and wine collide at Francis Ford Coppola's winery. Huge, Disneyland-like, lots of movie displays, gourmet restaurant, even a Vegas-like pool, you must see it to believe it! (Napa) In between Napa and towards Sonoma is Domaine Carneros, a beautiful ornate winery with dazzling sparkling wines. From basic tastings to caviar pairing, come sip some bubbles. (Santa Rosa) There's something for everyone at Kendall-Jackson Winery, choose from standard tastings to culinary experiences. And check this out, a Free 2 for 1 coupon! (Guerneville) A pretty drive along a woodsy roadway takes you to Korbel Winery where the tours and winetasting are complementary. Stop in and get lunch at their deli or bring your own picnic. You can taste in Kunde's tasting room, outside on the terrace, or splurge for a mountaintop tasting, 1,400' above the valley with incredible views. Beautifully manicured grounds, one of the best. (Sonoma) Ravenswood makes some pretty exciting wines and has tasting options to match, including a blending seminar where you'll make your own wine and barrel tastings. (Healdsburg) Anyone who said there are no more free tastings doesn't know about Rodney Strong Vineyards where both tours and tastings are complimentary. Picnic area and food pairings, too. (Sonoma) Though remembered by some as makers of mass marketed jug wine Sebastiani Vineyards has returned to its roots as a quality winemaker. Beautiful winery, lovely grounds, taste for yourself. 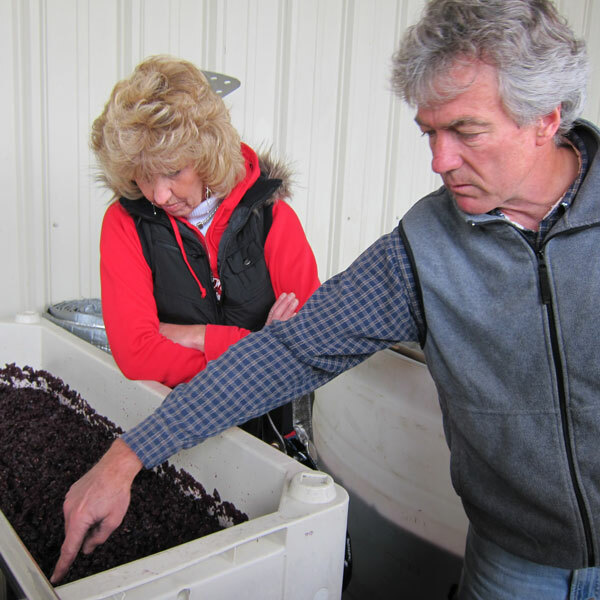 (Windsor) If you like chardonnays and pinot noirs then you'll love Sonoma-Cutrer Vineyards where this is all they make. Manicured grounds, terrific patio and grounds, even play a little croquet! (Sonoma) Gunlack Bundschu Winery, aka Gun Bun, is a bit off the beaten path but worth the sort detour. Historic winery building, lovely patio, or tour the vineyards on their Pinzgauer Tour. (Sonoma) Big wineries are fun but I find the little guys like Homewood Winery charming and irrestistable. Rustic outdoor tasting area, group friendly with reservations. (Sonoma) Little Family Vineyards is a charming little winery right off the main road, a rustic winery with bocce ball and open picnic tables, there's even an onsite recording studio for their family band. (Sonoma) A real working winery with minimal glitz, stop in at Loxton Winery where you might find Chris Loxton himself working or pouring the wines. No big production, no props, it's the real deal. (Santa Rosa) OMG, Mantanzas Creek is a beautiful winery! The setting itself is reason to stop by with picnic area, bocce ball, patio, lavendar fields, and the great wines send this one over the top. (Glen Ellen) A small family winery, Mayo Family offers up a huge selection of wines - you can taste 9 for $15. Dog friendly, people friendly, and a nice picnic spot. (Sonoma) At the south tip of Sonoma is Nicholson Ranch Winery, a boutique winery with a focus on chardonnay, pinot noir, and syrah. Cave tastings available, big group friendly with reservations. (Healdsburg) Beautiful winery and setting with sweeping view of the Dry Creek Valley, Quivira Vineyards is a biodynamic winery teeming with wildlife, colorful gardens and soothing waterways. (Sonoma) Located right in the Sonoma Plaza, Roache Winery offers a lively causual wine tasting setting with small bites and picnic tables, outside food OK. Barrel Tastings for groups of 8 or more. Hungry for the Best Places to Eat in Sonoma?